This renewal is of a tax in place since 2010. Without it, OCPS will lack funding to continue fully supporting teachers and students. On Aug. 28, Orange County voters will decide if the one-mill property tax should be renewed for an additional four years. Without an extension of the one mill, OCPS will have $1,437 less in per-student funding than what 2007 funding would provide today, adjusted for inflation. Without an extension of the one mill, OCPS anticipates a 2019 budget reduction of $143 million which will impact many hundreds of teachers, academic programs, arts and athletics. Can't You Fund These Things Through Additional Belt Tightening? Orange County Public Schools is consistently recognized for its fiscal responsibility. OCPS has received the coveted Governor's Sterling award three times since 2014 for organizational efficiency. 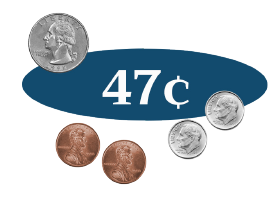 For 2018-19, state lawmakers have only increased basic education funding by 47¢ per-student. Help share the facts by distributing this informational flier. This report shows how proceeds from the one mill was spent during 2016-17. This presentation helps explain the financial situation facing OCPS. Shall the School Board of Orange County, Florida renew the current one mill ad valorem millage for essential operating expenses in order to preserve academic programs, retain highly qualified teachers and protect arts, athletics and student activities beginning July 1, 2019, and ending four (4) fiscal years later on June 30, 2023, with annual reporting to ensure proper fiscal stewardship of these funds to the citizens of Orange County?